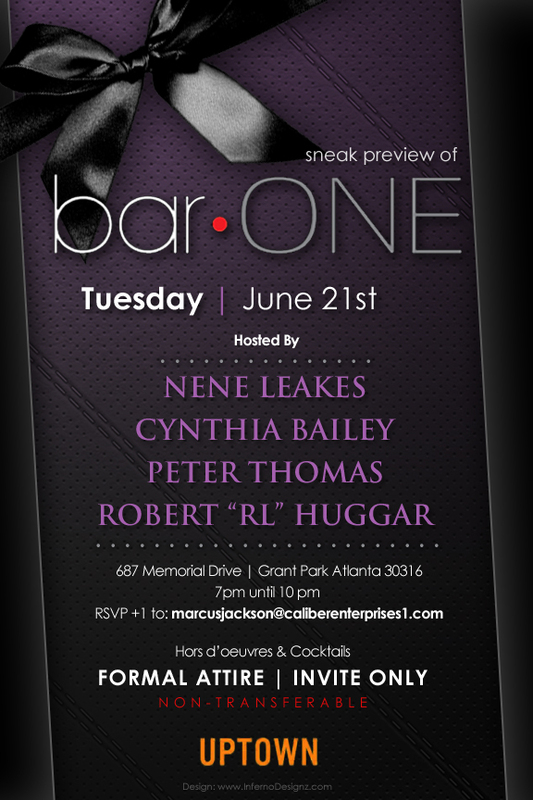 This Evite was designed for Bar One‘s exclusive sneak peek. Owner Peter Thomas (Real House Wives of Atlanta), husband of model Cynthia Bailey held this private reception for close friends and special guests. Hosted by RHWA’s Nene Leakes, Cynthia Bailey and Peter Thomas along with R&B singer RL (former member of the 90’s group NEXT). The Evite is just like a regular flyer design, just set to fit in a Email Space or on Screen. They can be designed in any size, typical downward compare to side to side.